Miyapur Hyderabad. Near Coca-Cola co.
How Far is Lahari Twins? 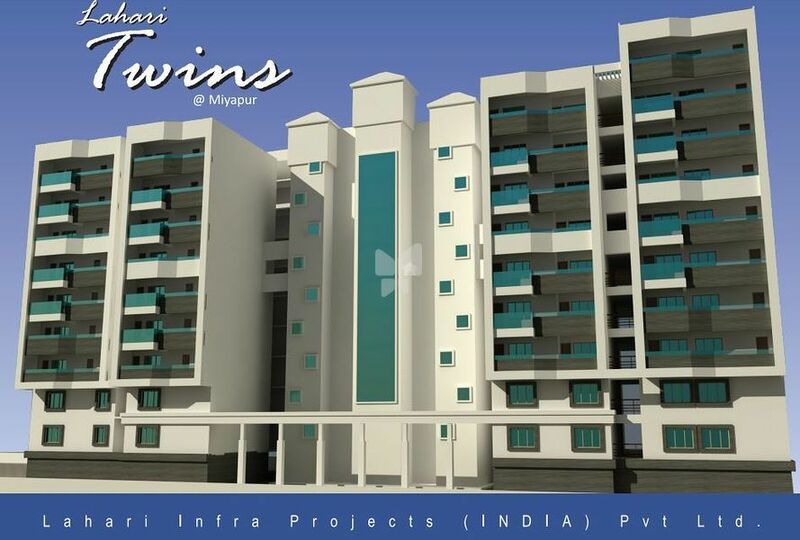 Lahari Twins is a residential project developed by Lahari Constructions. 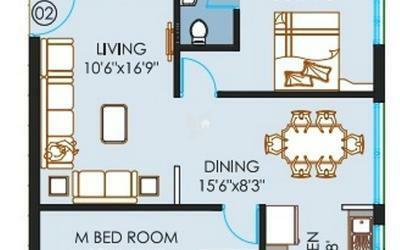 The project offers very well designed 2BHK and 3BHK apartments. The project is well connected by various modes of transportation. The site is in close proximity to various civic utilities. Premium quality Royal emulsion paint on all internal walls. All external walls finished with high quality weather-proof exterior textured paints. Superior quality 2' x 2' vitrified tiles for entire flat . Black granite platform with glazed tiles dado with stainless steel sink. Teak wood frames with termite-proof flush doors with fittings. Designer ceramic tiles on floors (acidresistant / anti-skid) and tiles dado upto lintel level with good quality fittings. Concealed fire-resistant copper wiring with adequate light, power and fan points with high quality modular switches.Power points for A/C in bedrooms and for the equipment in kitchen. Proper earthing facility, telephone, TV and computer points wherever necessary. 4 No. in each Tower(Two 6 passengers lift & 1 Goods and 1 Fire) with secure device and V3F for energy efficiency.